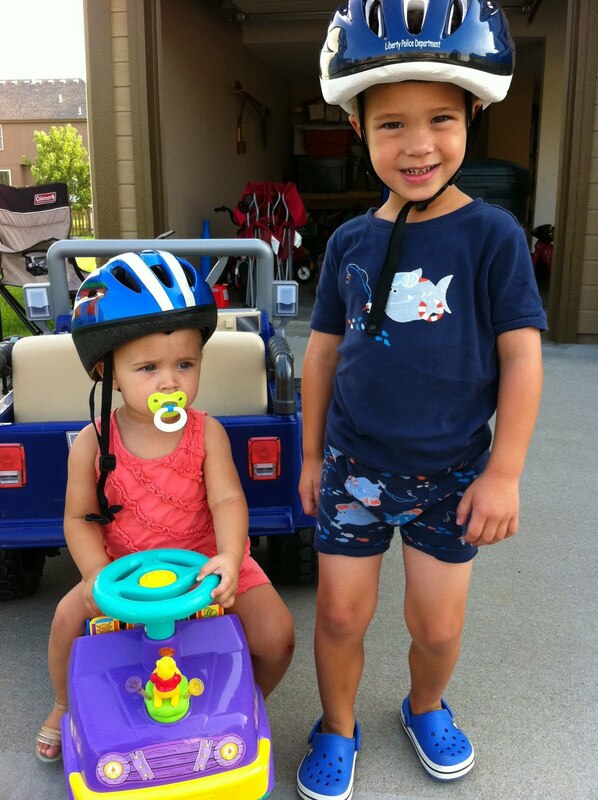 Connor's always very good about putting on his helmet when he rides a bike or other riding toy. 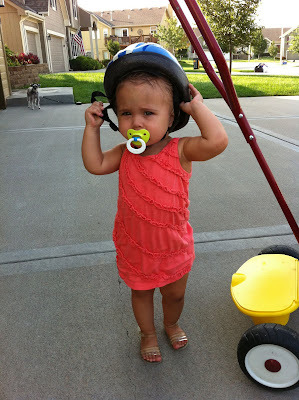 We found his old smaller helmet this past week and put it on baby sister. She tolerated it for a few minutes and Mommy got a cute picture of the kids before Paige took it off.